Discover the history of the valley and its inhabitants and how people used to preserve wine, cheese and other food in stone-built cellars ("grotti") located beneath huge boulders strewn across the mountain face as a result of ancient landslides. In the woods above the museum is a trail of old grotti that you can visit. It is a good idea to take a torch with you to look inside them as well. 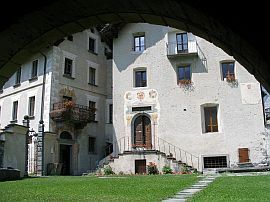 Take a leisurely stroll through the Botanical Gardens on the Brissago Islands on Lake Maggiore with their exotic trees and plants from all over the world, collected by Baroness Antoinette di Saint Léger, born in Saint Petersburgh and owner of the islands from 1885 to 1927. 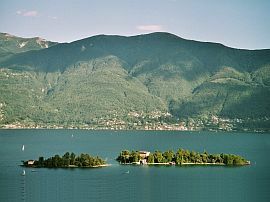 The islands are a short boat ride from the village of Porto Ronco/Brissago. Look out for the Islands' resident peacock! The islands also have a restaurant and a shop and host various exhibitions throughout the year.